Popular with people worldwide, the original Flora Herbal Blend formula has been successful since the early 1920s. The traditional herbal blend is designed to work synergistically as an internal cleanser. Flora Essence is a gentle tea that will renew and invigorate your spirit. Directions: For complete directions and effective uses of this product, see package insert. Each packet in this box makes 32 fl. oz (1 quart) for a total of 3 quarts of tea when prepared as directed. Other Ingredients: Certified organic burdock root, certified organic sheep sorrel herb, slippery elm bark, watercress herb, turkish rhubarb root, kelp, certified organic blessed thistle herb, certified organic red clover blossom. Keep out of the reach of children. Not recommended for pregnant or nursing women. Please store this package in a dry place. For your protection, Flor-Essence is packaged in three tamper resitant, imprinted, foil-lined packets. Do not use if any packet is torn or has holes in it. Flor-Essence is rated 5.0 out of 5 by 3. Rated 5 out of 5 by Grandma from Excellent product......have used for several years. 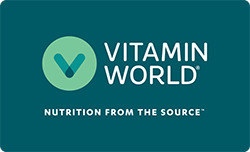 Always a satisfying experience dealing with Vitamin World on line. Rated 5 out of 5 by dwill from excellant product I use it twice a day. It does what it is expected to do in the body. Would be nice if you offered coupons for this once in a while. Rated 5 out of 5 by jzvm from Excellent I have drunk before the tea that comes in bottle. I start making my own tea because it is cheaper. It is so great as the one in bottle. Easy to prepare.